Takhiro Morita has been a major force in the Japanese skate scene for over two decades. But it was only about 2 years ago that I met him at the New York premier of French skate company Magenta‘s video: Soleil Levant. The video itself was awesome, but I found Morita’s part in it to be truly inspiring. Not only did he skate with alluring style and amazingly creative tricks, his part was inter-spliced with crazy and cool artistic visuals of brains and weird wavelengths, all cut together at a dizzying speed that matched his skating. After the video was over, I decided I had to introduce myself. We spent the rest of the night hanging out with the Magenta crew and other skaters from New York, and went skating the next day to try and get some photos. Those photos eventually ran in the Japanese publication VHS, and then later in the March 2015 issue of Transworld Skate Japan. This summer, Morita made it back to New York. We spent a full week skating every day and I’m happy to say that the photos we got that week are now part of Morita’s bi-lingual cover story in the current issue of TWSJ. They make up part of Morita’s “Love From Far East” – a story about his skating and how it has enabled him to travel around the world for over 25 years. 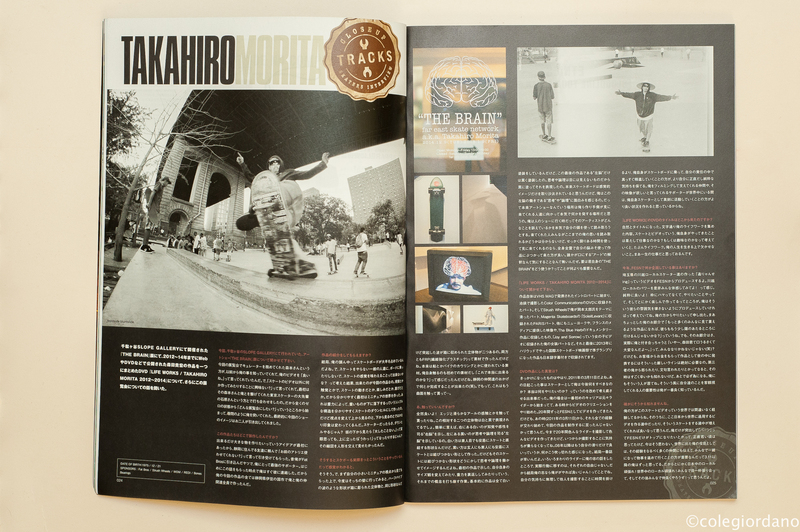 Accompanying the issue is a DVD that highlights Morita’s skate career. The cover of it is a photo I took of Morita during a rainy midnight venture to Times Square. Check it out below. For more photos, head to colegiordano.com. Spread from TWSJ March 2015.